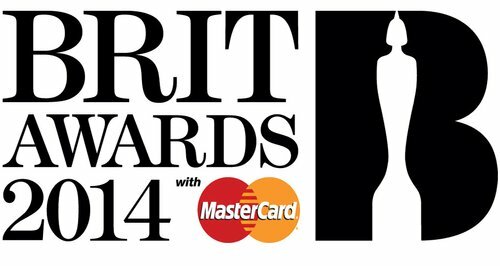 The nominations for the Brits Awards 2014 are out and the kids are definitely alright because the major players are mostly the right side of 25 and enjoying their first flush of stardom. And in turn they reflect the genre-twisting, up-for-anything nature of today’s youth, with Bastille, Disclosure, Rudimental, John Newman, Naughty Boy and London Grammar all up for gongs and all representing a variety of hybrids and influences, from dubstep, indie, electronic, drum n bass, soul, sixties, dance, you name it, it’s there. And who cares who wins when the show itself – on February 19 – promises to be the hottest ticket in town (ok, the hottest 20,000 tickets in town, it’s at 02). A line-up of Pharrell Williams, Arctic Monkeys, Katy Perry, Bruno Mars, Bastille, Ellie Goulding, Lorde and Disclosure is sure to raise the roof, the last two collaborating. Someone’s got to win though, and it’s a not particularly genre-twisting, not exactly up-for-anything One Direction who have already guaranteed themselves one award for the Global Success Award for the band clever enough to conquer the world. And while they are counting their money (and Simon Cowell’s), young Sam Smith is also on a sure thing having already grabbed the Critics’ Choice Award for up and coming artists. So it’s up to the rest to battle it out, and of course no-one will be making any assumptions about Katy Perry and Bruno Mars’s chances of winning (ahem) seeing as they are flying over and performing on the night… and both had massive albums out this year. Although it could be the year of our Lorde, as the Royals singer is in Perry’s category of International Female Solo Artist and has already carried off a couple of Grammys. But what of the actual ‘British’ Brit awards: Bastille, Blake, Birdy, Bugg or Bowie, well, frankly, who knows? It might just be the year for young David Bowie, 65 years on the clock and still cranking out fresh-sounding albums. He’s got a chance of carrying off Best Male, cos we’re a sentimental old lot aren’t we, and he doesn’t pop round very often. We assume Arctic Monkeys keep this date free every year because they seem to have become a fixture even if they haven’t done a right lot lately, and Laura Marlin’s turned up again in the Best British Female, which should go to Ellie Goulding unless they feel we need a jolt on our sofas and give it to Laura Mvulu. 2013 was a nicely hosted show thanks to cuddly chubster James Corden’s cuddly chubbly presenting – it’s been announced it’s Corden’s last year (who really cares?) but it would be nice to have a bit of controversy, wouldn’t it?. In the recent past we’ve had Liam vs Robbie and Peter Kay vs Liam and Liam vs Noel and Noel vs A1 and Liam vs The Spice Girls (yes, really! ), Ronnie Wood vs Brandon Block and Chumbawumba vs John Prescott. I’m not sure Louis from One Direction has got it in him but a spat with say, Lorde, might spice things up a bit. The Brits are genuinely interesting this year, which must be a good sign for ‘Brit’ music, not too many boy and girl bands and old folks. Roll on February 19, and let’s all put our hands together and pray for some vicious name calling, and even an unseemly scrap.